It’s time again for our Babywise Network Pinterest Day! This month we are all going to spotlight the fall season. Whether it’s still hot where you are (it is here) or the leaves are turning and giving you beautiful scenery, there’s something refreshing about fall. For crafts, recipes and other great fall inspiration come follow our boards. When I think fall I think apples. I’m not sure why, but something about the fair (ours was always in October) and caramel coated apples (not that I like caramel) reminds me of hay rides and bonfires. I took the apple theme and did apples 3 ways. 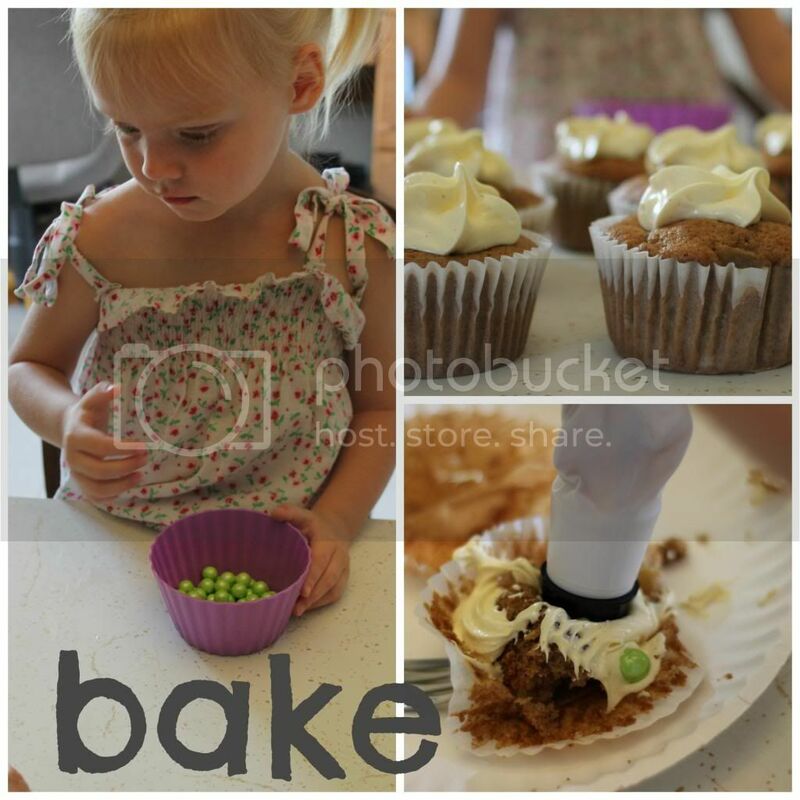 Bake, Create and Decorate. We had fun setting the table, letting Pickles try her hand at apple stencilling, and, of course, eating the cupcakes. I hope you are enjoying this fall season. Baking is really synonymous with fall. Apple and pumpkin and chicken pot pies. (Note: my daughter is obviously still learning how to ice the cupcake). We baked some apple spice cupcakes and ate them all in a day. Here are some great fall recipes. Crafts are a fun way to bond, teach various skills and pass the time with squirmy toddlers. We created a fall bunting with an apple stencil, red acrylic paint, burlap triangles, and twine for bunting. Here are some cool fall craft ideas. 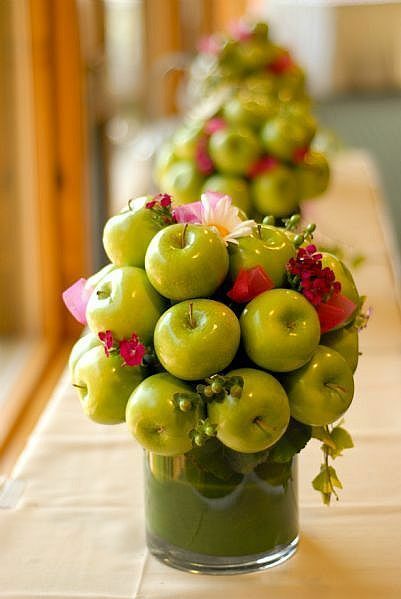 Since apples themselves are pretty we made a table setting using lots o’ colored apples and various wood elements. 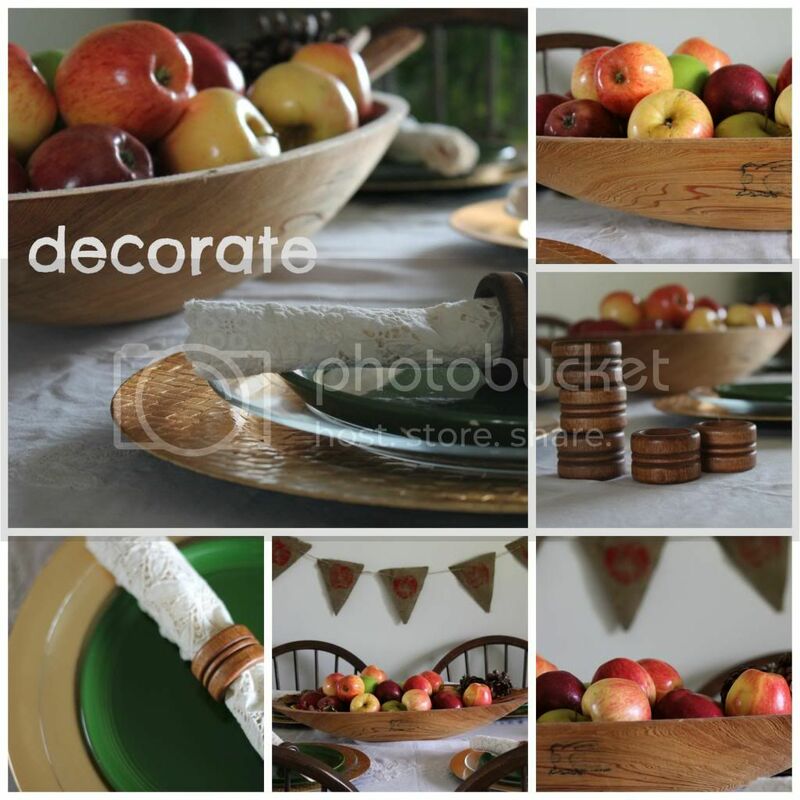 My grandfather made that wooden bowl… See below for some cool ways to decorate with apples. Come follow us on Pinterest for lots of fall ideas plus our boards full of information from great chapter books to read, sleeping tips and much more.